In this guide, you will learn how to jailbreak FireStick and install popular streaming apps for free movies, TV shows, Live TV, Sports and a lot more. The jailbreak method demonstrated here also works on FireStick 4K, Fire TV, and Fire TV Cube. Amazon FireStick is an incredibly popular streaming device. This simple yet feature-rich device is a low-cost solution to convert any regular TV with HDMI compatibility into a smart TV. 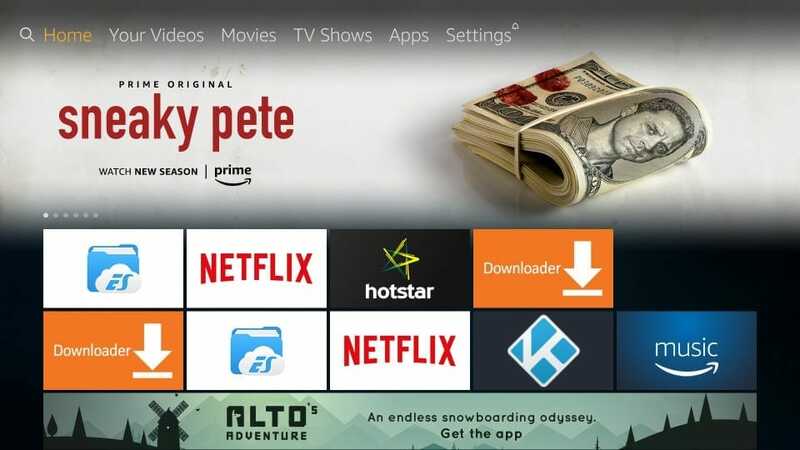 FireStick lets you stream content from a variety of online media and entertainment services like Netflix, Amazon Prime Videos, Hulu, Hotstar, and several TV Networks. That’s all wonderful. But, there is a major drawback. You must pay a subscription fee in order to watch content through these entertainment services. And, their subscriptions aren’t cheap; they can burn a big hole in your pocket. This is where FireStick jailbreak comes into the picture. Jailbreaking allows you to get third-party streaming apps that give you free access to all your favorite movies, shows, live TV channels, sports and more. And, yes! jailbreaking a FireStick is totally legal. You have bought the device, you own it and you can do with it whatever you like. However, if you stream pirated content on it, it would be illegal and hence your problem buddy!!! Disclaimer: We do not encourage or promote streaming copyrighted content. Please be a good just of your actions. Although Amazon Fire Stick jailbreak process isn’t exactly a cakewalk, it’s not some rocket science either. I have broken down the process in easy to follow step-by-step instructions. Just make sure you follow the instructions exactly as provided and you will have a jailbroken FireStick within minutes. You might have seen some Jailbroken FireSticks for sale on the internet. Such devices are usually sold $40-50 above the retail price. You really don’t need to spend those extra bucks for a jailbroken FireStick, when you can do it all by yourself and like I said, “within minutes.” Moreover, I have seen people facing legal battles for selling jailbroken FireSticks. 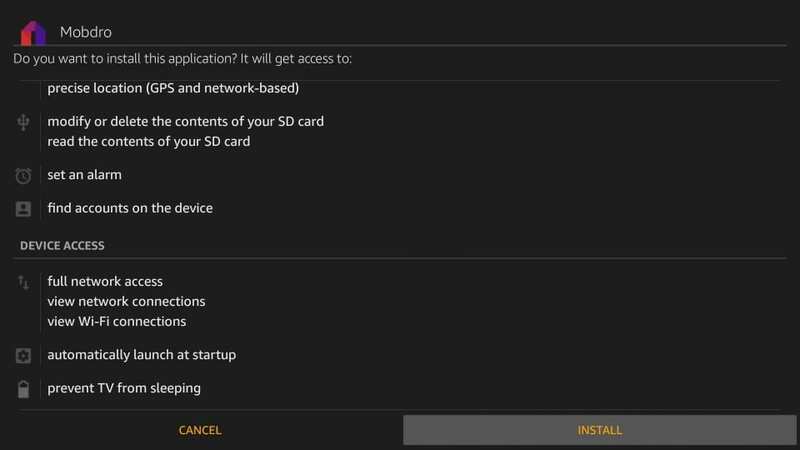 Just closely follow the steps mentioned below and you’ll easily be able to jailbreak Amazon Fire Stick. I have successfully run these steps multiple times on 2nd Generation FireStick with Alexa Voice remote and FireStick 4K. I will also show you how to use Jailbroken FireStick in the later section of this guide. Stay tuned. First, you need to tweak a FireStick setting to allow the jailbreak process to work. This native setting is all you need to tweak to get started. You are NOT infiltrating any system settings or manipulating any operating system core files. This jailbreak hack is simpler than most people think. You don’t even need a computer. All you need is your FireStick, its remote, and an internet connection. This is all you need to do to prep your FireStick for the jailbreak process. Let’s move to the next part. 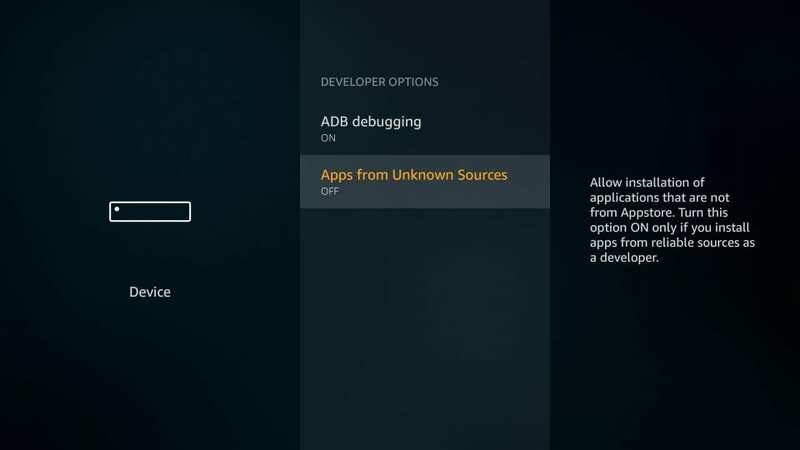 Downloader app is extensively used as a sideloading tool on FireStick. 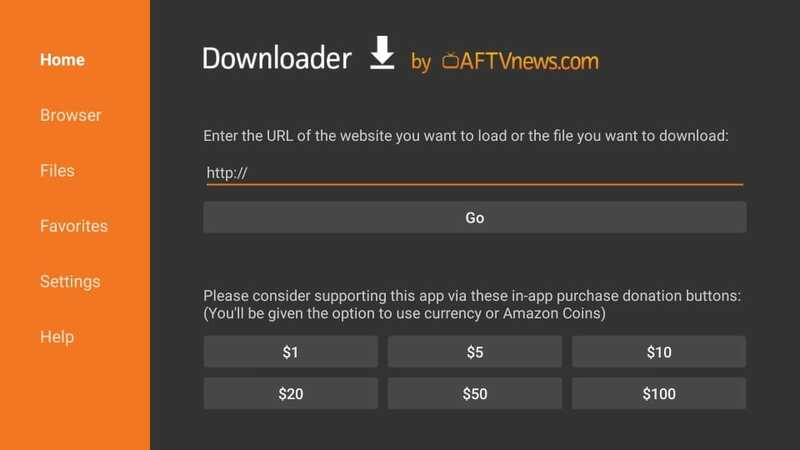 While there are a bunch of options to sideload apps on FireStick, Downloader continues to be the most straightforward and convenient utility. 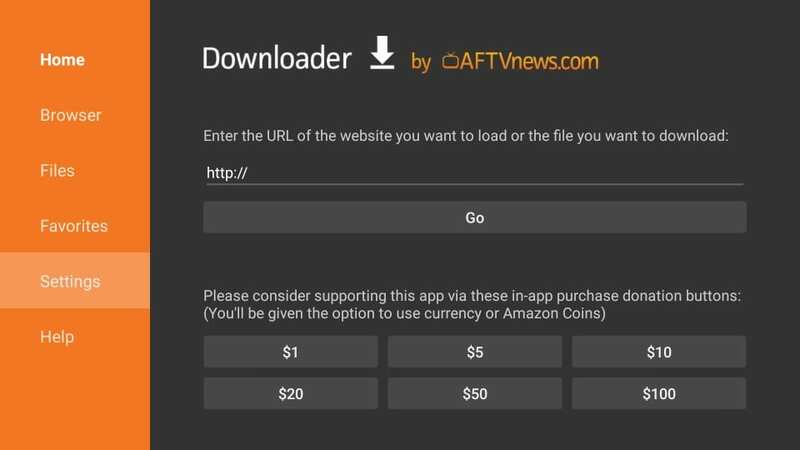 You will need Downloader to jailbreak FireStick and installing different streaming apps on it. It is absolutely free and you can download it easily from the Amazon App Store. Installing Kodi is the last step to jailbreaking FireStick. Kodi is a media application that gives you access to the huge world of free entertainment. It lets you watch your favorite Movies, Shows, TV Channels, Sports, content for Kids and a lot more. Yes, you can stream anything you want. All you need is the right Kodi Addons and Builds. 6. 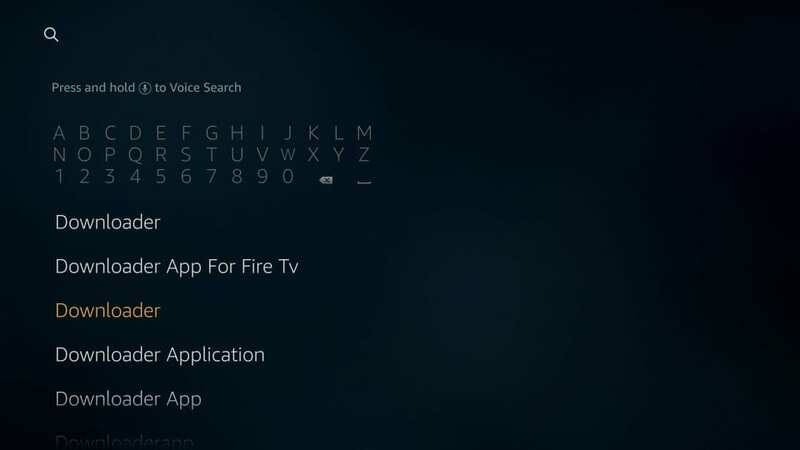 App Installed notification will confirm that Kodi has been installed on FireStick. Great! Your FireStick is now jailbroken. Click Open to run Kodi. 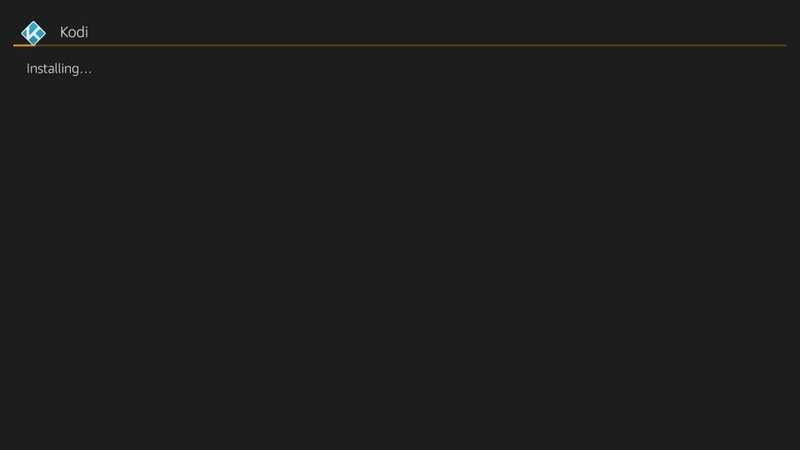 If you want to open Kodi later, click Done. You may open it later from the Your Apps & Channels list. 7. Kodi will take a minute to open if it is the first time. That’s normal. This is how the home-screen of Kodi looks like. Wondering what to do next? Kodi is a clean slate for now with nothing to play. 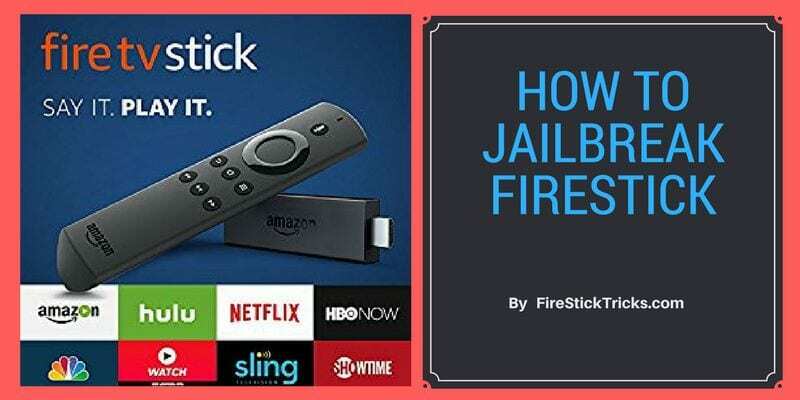 Just keep reading this guide to learn how to use a jailbroken FireStick. Now that you have jailbroken your Fire TV Stick, it is time you knew how to make the maximum out of your device. However, before you start using your jailbroken Fire Stick, I would like to warn you that everything you stream on Kodi or other streaming apps is visible to your ISP and Government. This means, streaming copyrighted content (free movies, TV shows, Sports) might get you into legal trouble. Thankfully, there is a foolproof way to keep all your streaming activities hidden from your ISP and the Government. 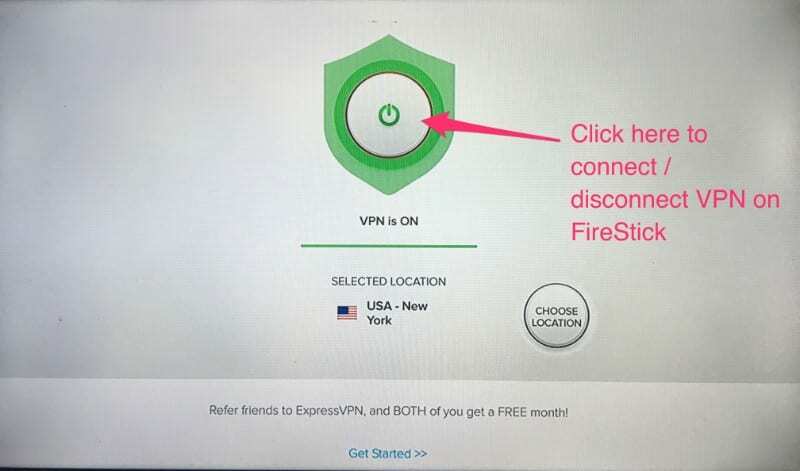 All you need is a good VPN for Fire Stick. 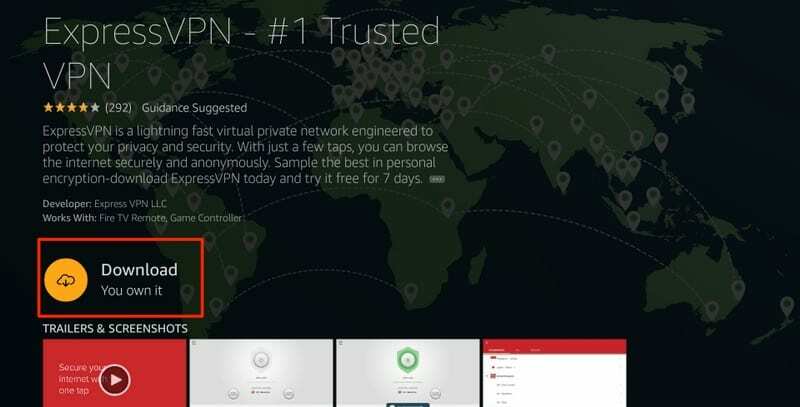 A VPN helps you bypass Online Surveillance, ISP throttling, and content geo-restrictions. I personally use and recommend ExpressVPN, which is the fastest and most secure VPN. 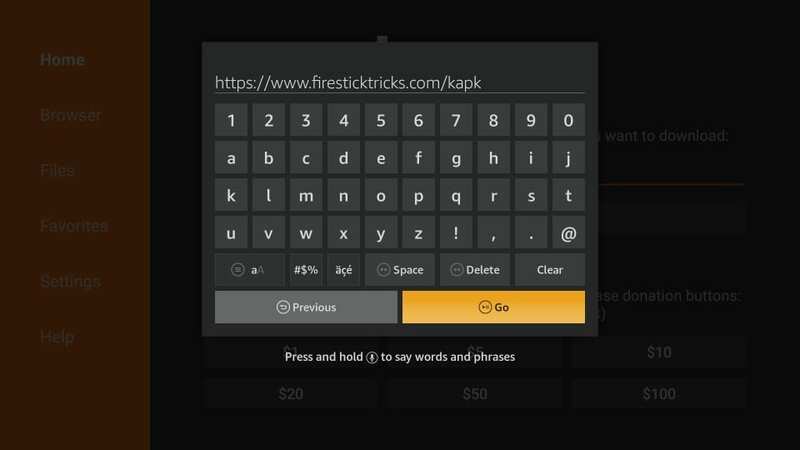 It is Kodi friendly and very easy-to-install on Fire TV / Stick. We do not encourage the violation of the copyright laws. But, what if you end up streaming content from an illegitimate source unintentionally? It is not always easy to tell the difference between a legit and illegal source. So, before you start using your jailbroken Fire Stick, let’s see how to use ExpressVPN to keep your streaming activities hidden from prying eyes. Now that you are secured, it is time to start using Kodi on your Fire TV/Stick. As I have already said, Kodi doesn’t host any content of its own. You will need to source the content from outside. One way is to play the media saved on your local storage. However, that’s not where the real worth of Kodi lies. The biggest advantage of Kodi is that it opens the doors to the vast world of free content on the internet. 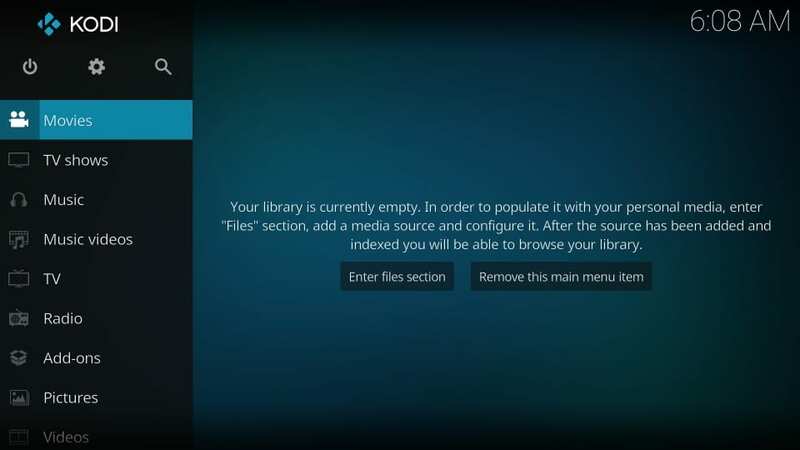 Our Ultimate Beginner’s Guide for Kodi will help you get started in no time. While Downloader is an excellent app, it may not necessarily be available in all the regions. 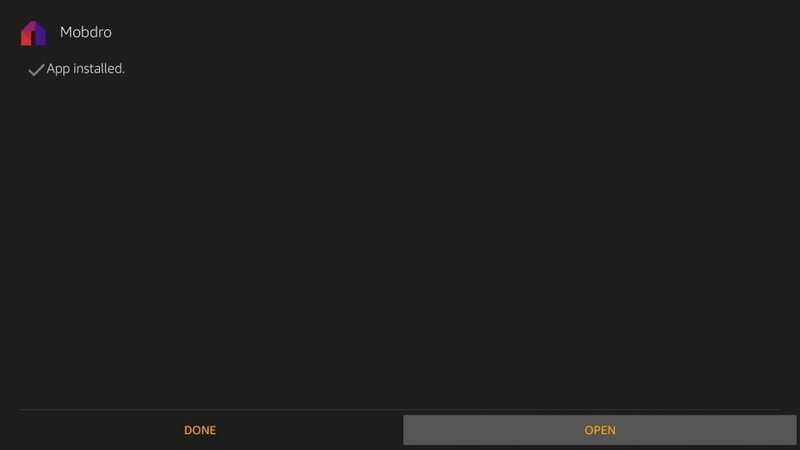 Therefore, I am showing you an alternate method to Jailbreak FireStick using the ES File Explorer app. You should follow this only if you weren’t able to do it with the downloader app. It is exactly the same thing using a different sideloading app. Follow the steps below. Kodi is one great way to jailbreak FireStick. But it is not the only way. There are some FireStick jailbreak apps you can install and start watching your favorite content in no time. Whether you like to stream TV Shows, Flicks, Live TV Channels, Sports, Kids, these apps have it all covered. Disclaimer: I can’t vouch for the legal status of these apps. Users must NOT use any recommended apps for accessing copyrighted streams. I recommend watching only free content that is available in the Public domain and is free from any copyrights. I will now introduce you to some of the best jailbreak apps. Cinema APK is one of the best apps to watch on-demand movies and TV shows on FireStick. 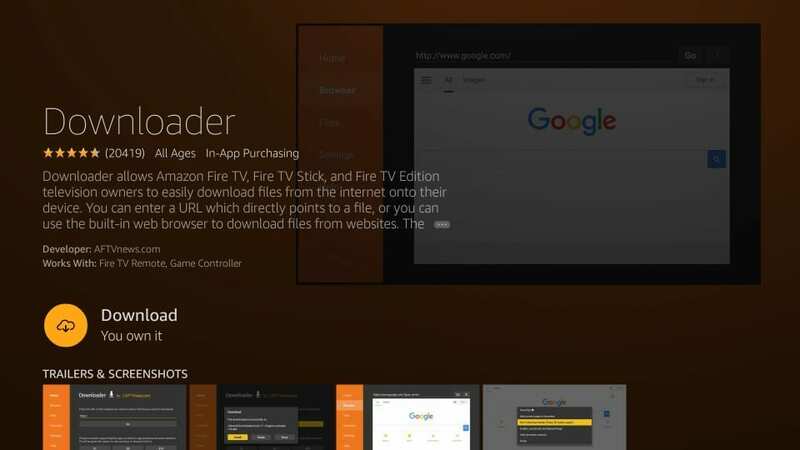 This Android app is designed to be completely compatible with FireStick remote. It has a huge database of content, which is regularly updated. You will find the new content within minutes after its release. 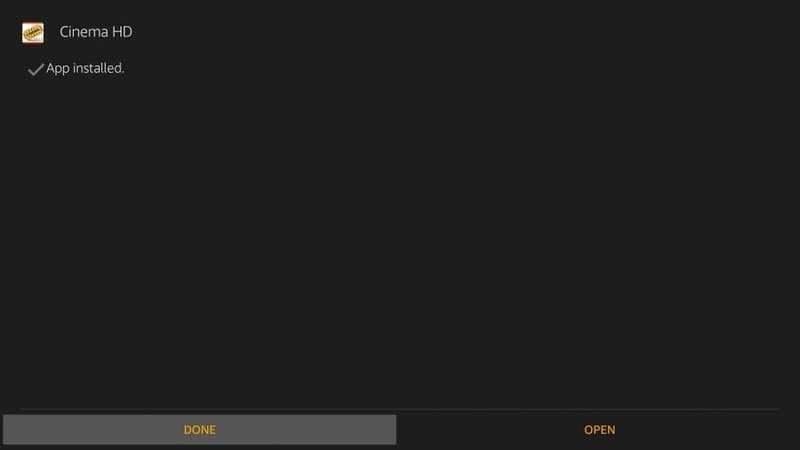 Formerly known as HDMovies, Cinema APK gives you plenty of playback options. It uses high-quality scrapers to fetch the best working streams from the internet. You can play the videos in up to 1080 HD resolution. With Real-Debrid integration, the app scrapes even superior quality streams. You can also sign in to your Trakt account within Cinema APK to sync your watchlist, history, etc. Mobdro is one of the most preferred apps to watch Live TV on FireStick for free. The app has a comprehensive library of TV channels in various categories including News, Shows, Movies, Sports, Music, Gaming, Animals, Tech, Spiritual and more. There are more than 300 channels from the US, UK, Canada, and other countries to choose from. The app offers a simple user interface allowing you to easily browse the channels. Mobdro is a lightweight app that works almost flawlessly on FireStick. Mobdro is safe and does not require any signup or registration. It lets you get started immediately. I recommend Mobdro as a must-have app to those who want to watch Live TV channels. Swift Streamz is primarily a Live TV/IPTV app for FireStick. However, after having used several apps, I realized that it has the biggest collection of working Sports channels. Therefore, I personally consider Swift Streamz as the best option to watch Live Sports. The Sports section of this app features more than 180 channels. A lot of them are from the USA. You will also find plenty of international sports channels from the UK, Canada, Asia and more. Whether you want to watch Soccer, American Football, WWE, F1, Basketball, Basketball, Golf, Cricket, Swift Streamz has sports channels for you. All you need to do is install the app, go to this Sports TV section and pick your favorite Sports channel. If you have followed everything that I have shown above, you should be able to stream anything for free, let it be movies, TV shows, Live TV, or sports. 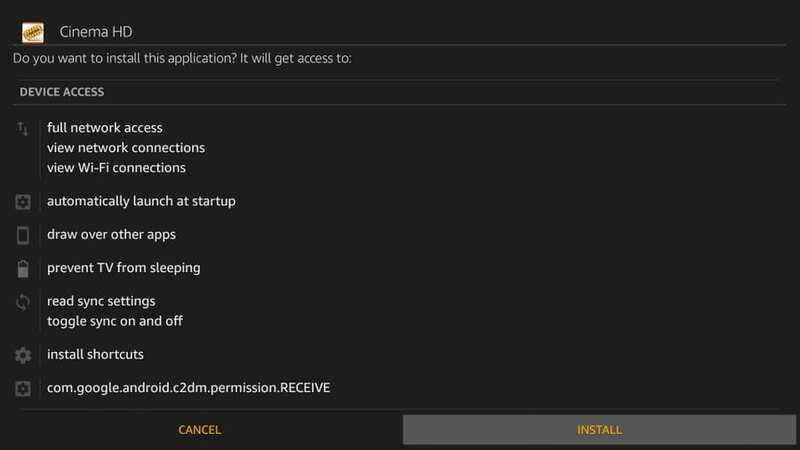 Here are some of the most frequently asked questions regarding FireStick jailbreak process. Technically speaking, what I demonstrated in this guide is not truly a jailbreak. The real jailbreaking process requires tweaking an OS and gaining access to the root files. What you did here is simply installed a trusted, safe and legal third-party app called Kodi onto your FireStick. This means, our jailbreak process is 100% risk-free. Do I lose warranty on Amazon FireStick when I Jailbreak it? 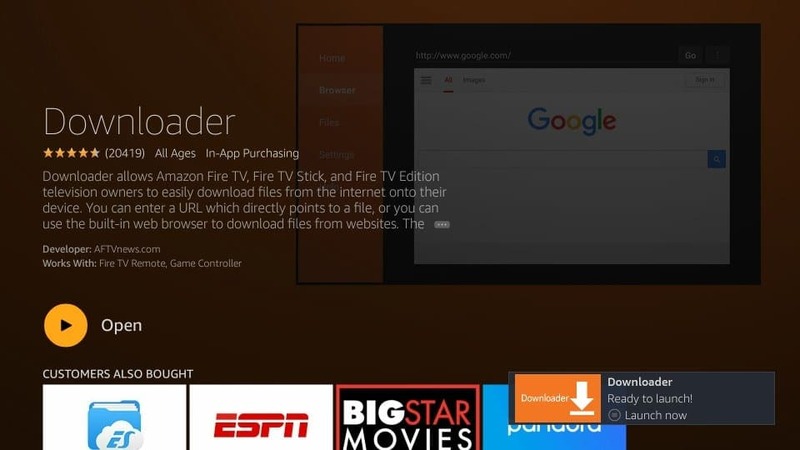 You do not lose or void FireStick warranty as all you are doing is installing an app and not making any changes to the device software or hardware. What can I do with my Jailbroken FireStick? When you jailbreak FireStick with Kodi, you allow yourself the opportunity to watch free movies and shows. But, for that, you need to install Kodi addons first. Add-ons are easy to install and we have several guides to help you. You can check our list of best Kodi Addons here. Does Fire Stick Jailbreaking cost anything? Jailbreaking is a completely safe process and does not cost you anything. While jailbreaking, you install Kodi, which is free. Kodi has plenty of free addons that let you watch movies, shows, live TV etc. at no cost. However, if you want to use the premium addons or services, you will be required to pay the subscription fee as per the requirements. Does jailbreaking slow down my FireStick? Ideally, it does not. Kodi is a lightweight application and it does not have any significant or noticeable impact on the performance of FireStick. However, FireStick storage is limited and if a lot of space has already been taken up, you may experience performance issues. It would be a good idea to clear FireStick storage of all the clutter and unnecessary files. 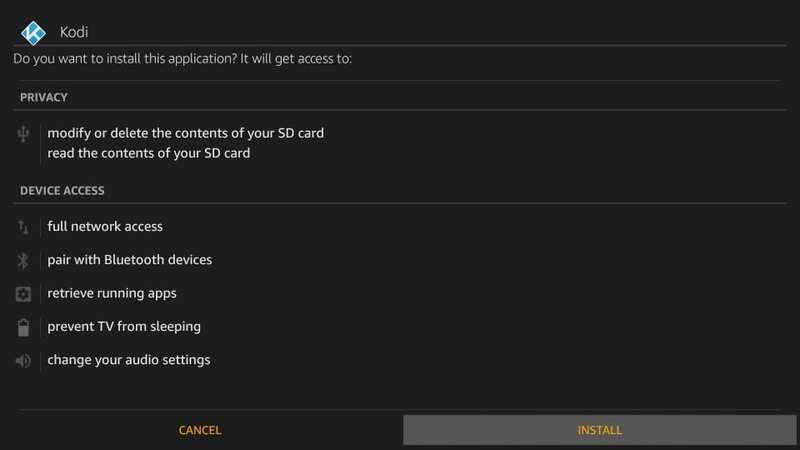 For instance, if you have installed any third-party apps on FireStick, make sure you delete the APK files to clear up space. How do you Jailbreak a FireStick 4K? 2nd Gen Fire TV Stick and the new Fire TV Stick 4K has the same interface. I have tested this guide on FireStick 4K and it works fine. 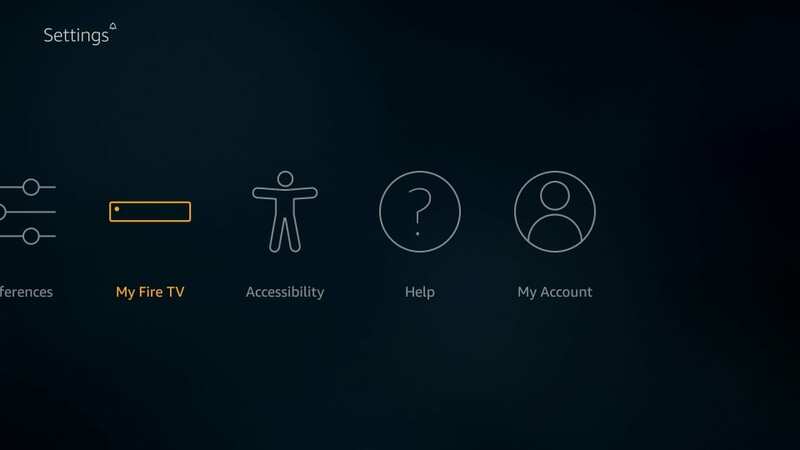 If you have 4K FireStick, go ahead and perform the above steps without hesitation. Is it okay to buy a pre-jailbroken Amazon FireStick? I am highly against buying a pre-jailbroken device. It is best to buy the original FireStick and use it straight out of the box. Those who sell you the jailbroken FireStick may have tampered with your software or hardware in other ways too. Moreover, there are many known instances where sellers of jailbroken Firesticks are facing legal charges. So, that is how you jailbreak FireStick with Kodi and gain access to unlimited free content for nonstop streaming. The jailbreak process is not only easy but also completely risk-free. All you need to do is install a popular and widely trusted third-party app Kodi or FireStick jailbreak apps. Once you have done that, you may want to elevate your entertainment experience to the next level. That you can do with the best Kodi builds, top Kodi addons and best FireStick apps. I have been using this jailbreak for several months without any hiccups or hassles. I am confident it will work great for you too. But, should you run into any trouble, feel free to drop us a comment below. I will do my best to take care of your issues. i followed your steps but i cannot download the actual kodi app? Why is it? It only opens through the downloader app? Is there a way to fix this? Also how can I start watching movies again? This new setup looks confusing. Hi Toney, you may use ES File Explorer as well. We have provided it as the alternate option to install Kodi on FireStick in this guide. I already have a jailbroken firestick I did purchase off internet now all it does is buffer can I wipe it out and start over and follow your directions or should I buy a new one and start over. Hi Denny, I don’t recommend buying a jailbroken FireStick. Why to spend extra bucks when you can do everything on your own? 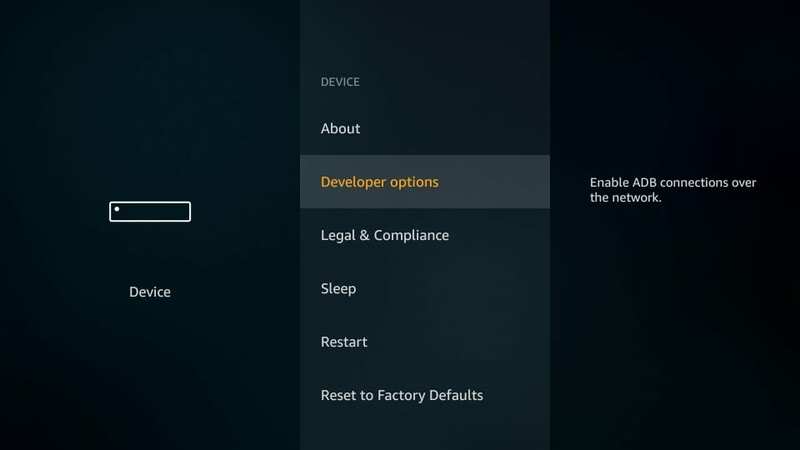 I suggest resetting your FireStick to factory settings and then follow the jailbreak guide above. Perfect supercharge guide. I am loving my Firestick even more now. 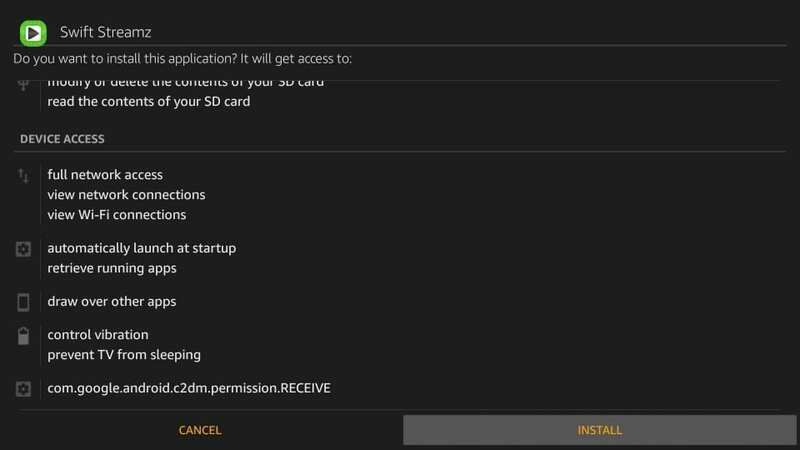 I am just going to throw my two cents in here but if you install a “build” like ‘No Limits Magic’, or ANY of Diggz builds, you will be in Kodi Zen. There is any and everything you could ever want – in one convenient install. Hi Trishia, could you please elaborate on the nature of the problem? 6.1 Is it safe to jailbreak FireStick? 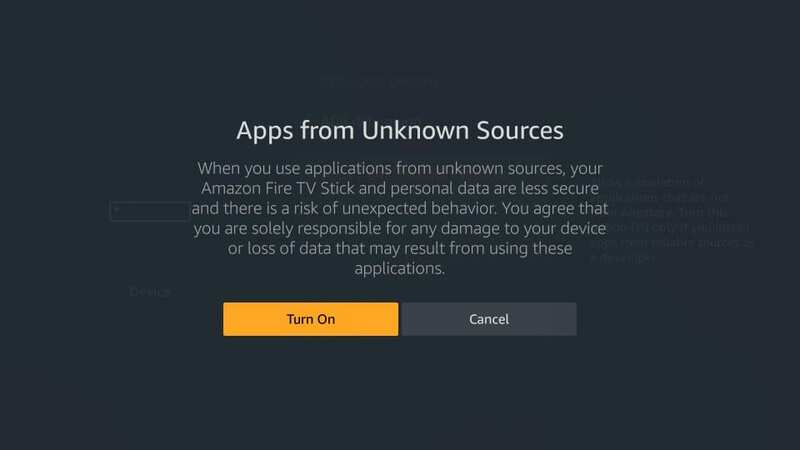 6.2 Do I lose warranty on Amazon FireStick when I Jailbreak it? 6.3 What can I do with my Jailbroken FireStick? 6.4 Does Fire Stick Jailbreaking cost anything? 6.5 Does jailbreaking slow down my FireStick? 6.6 How do you Jailbreak a FireStick 4K? 6.7 Is it okay to buy a pre-jailbroken Amazon FireStick?